Extra Extra, Read all about it – Ardbeg Supernova 2010 is coming your way! 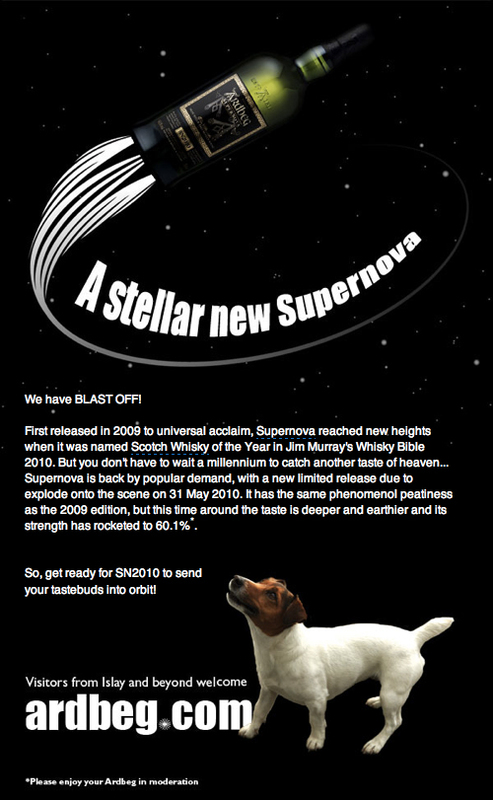 Some very exciting news from the good folks at Ardbeg – Supernova 2010 is being released on May 31st, 2010! Plus, the ABV is even higher this time around — 60.1% – Yowza! 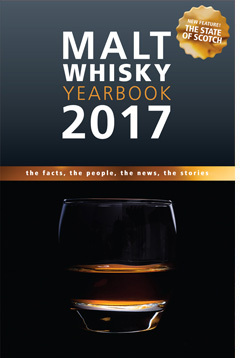 Below the image you will see the tasting notes as provided by Ardbeg. Enjoy the rest of your day! Big and powerful with peaty, earthy and deep herbal notes. With the first sniff, encounter deep earthy peat oils and crushed black pepper embedded in the darkest chocolate. Swirl the glass and dip your nose into herbal infusions of juniper, elderflower and agave. Tarry ropes and creosote-soaked elm follow with flowering currants, olives and hot chilli peppers. Swirl water into the glass, and voyage into the unknown with smoky coal tar, an open box of rolling tobacco, peat moss and roasted malt. A barbeque of smoky charcoal rises above the peat moss, softened by camomile, cedar and heather bloom. A blast of brine, white pepper and smoky asparagus escapes into the atmosphere with a spritely display of gooseberries and greengages. Ardbeg challenges the palate with a smoke and salt explosion – hot, sizzling and gristy sensations effervesce and explode on the tongue with a powerful peaty punch. Black and white crushed pepper pop with chilli and chocolate. Chewy sweet rolling tobacco, linseed oil and newly tanned leather roll backwards on a wave of brininess and burst of juicy lime marmalade. Cigar smoke builds up to a crescendo before drying out to bring dark roast earthy coffee, toasted almonds and liquorice root. Long, deep and powerful, refusing to fade away – remaining warm and drying with tarry peat, cocoa and chilli.